My family adores being out in nature. During the summer, we spend even more time hiking and at the beach. 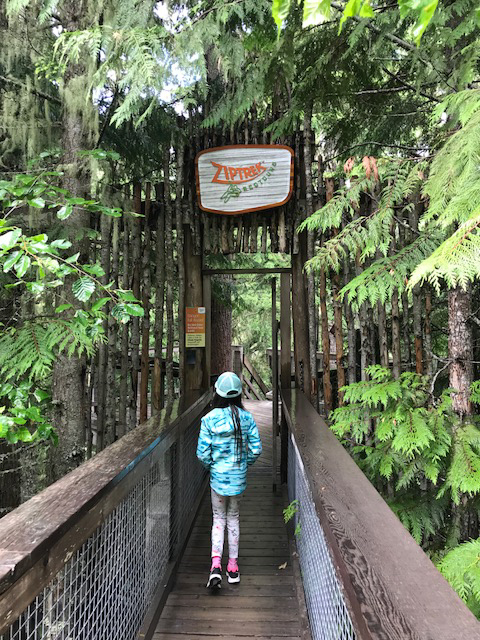 During our last trip to Whistler, we had the opportunity to go on a TreeTrek Canopy Walk with ZipTrek. 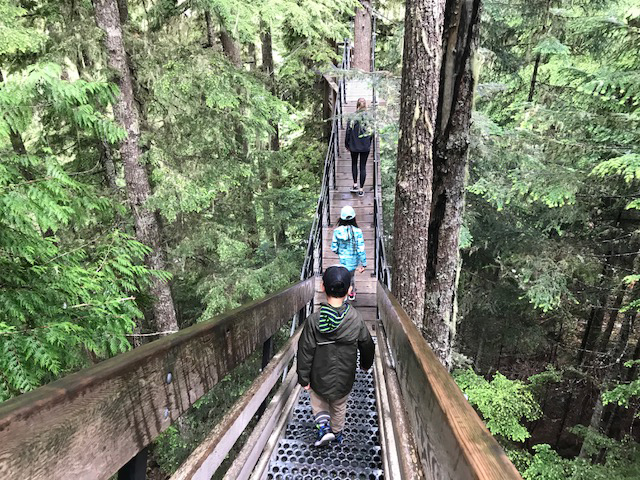 The TreeTrek Canopy Walk is a great activity for the entire family. This is a guided tour that takes you deep inside a lush Whistler forest. 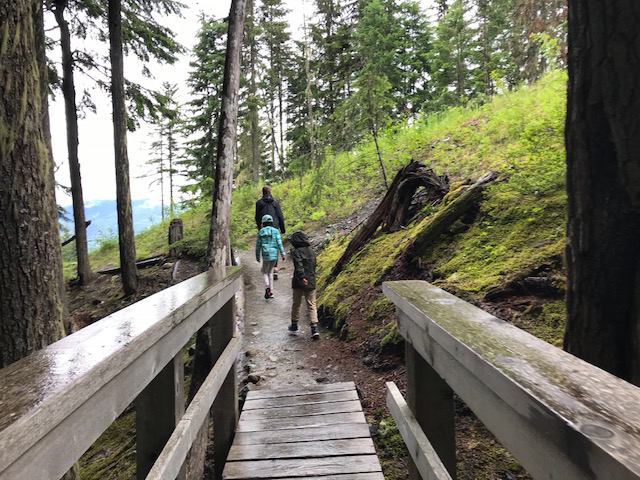 Guests get to experience one of the last old-growth forests by using a network of suspension bridges, suspension stairways and hiking trails. During the Canopy Walk, you’ll see Cedar, Hemlock and Fir trees. You’ll also spot the beautiful Fitzsimmons Creek, mountains and more. 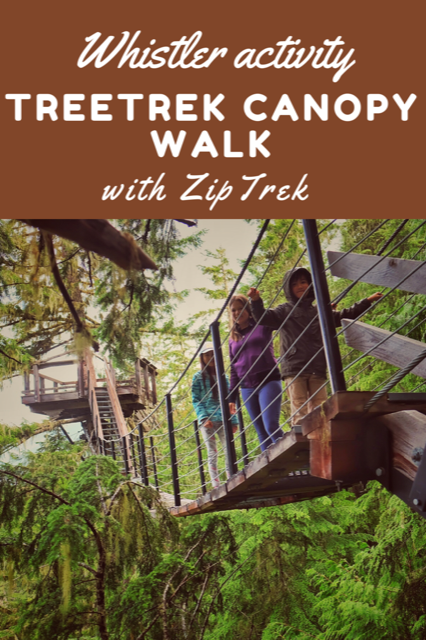 The TreeTrek Canopy Walk is for ages 6 and up (infants are welcome to join if they are secured in a carrier). It is a moderate hike that takes about 1.5 hours to complete. 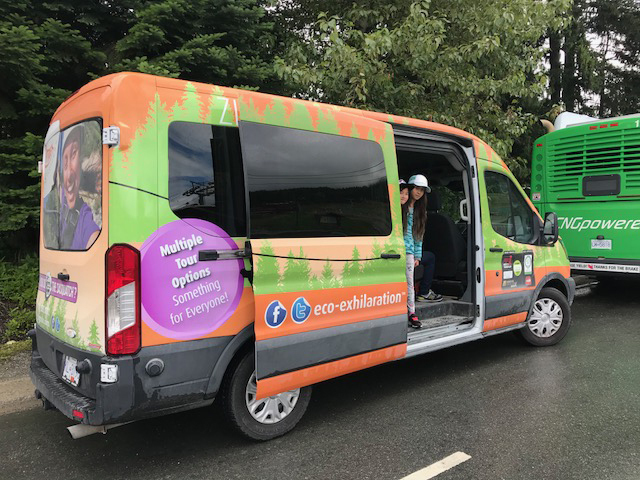 Ziptrek picks up their guests in Whistler village and drives them via one of their shuttles to their base on Blackcomb Mountain. A guide remains with the group at all times and shares a wealth of information about old-growth forests and more. TreeTrek Canopy Walk tours are held all year in all weather conditions. 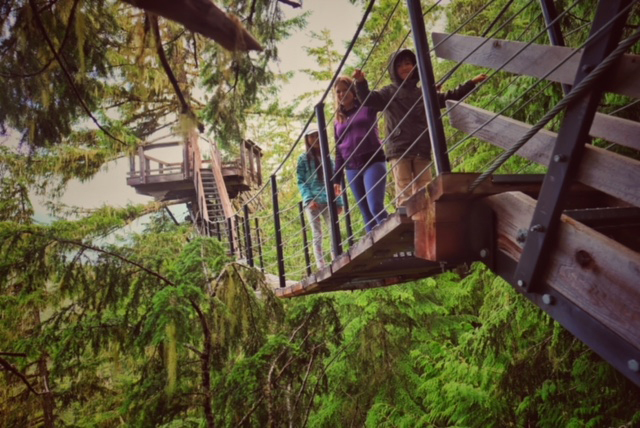 My family really enjoyed our TreeTrek Canopy Walk tour. Our guide was kind, professional and very knowledgeable. My children loved using the suspension bridges from tree to tree. They also enjoyed learning about the different types of trees and watching people zip line. I strongly believe that this is a great, easy activity to do as a family. 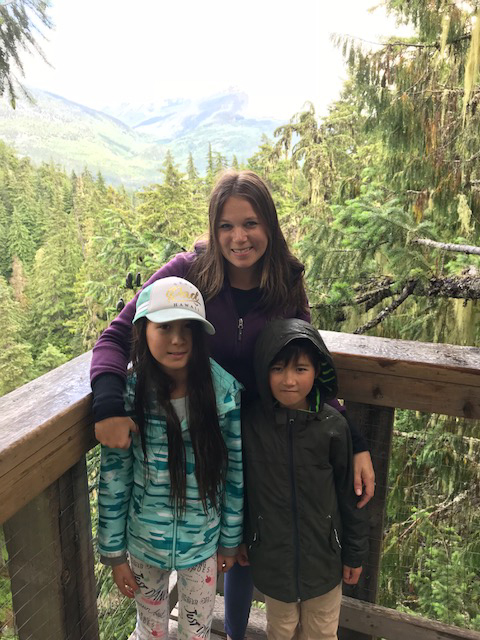 Everyone belongs in nature and this tour allows you to experience and learn more about beautiful British Columbia. I’d love to know, what interests you most about the TreeTop Canopy Walk? An awesome looking place I will have to visit soon and enjoy nature. It would be so awesome to walk among the large Firs!! Not too sure I could do this now but it looks amazing. Thanks for sharing.New to Vancouver Island (Nanaimo) so look forward to seeing this in person! I would love to do this. I wish I could get out there and have some fun but my husband cannot walk that far. Maybe someday! This looks like so much fun. My daughter would love it. Dang – read this the week after we had the grandkids. On a future list. Looks like a great day with the kids! Beautiful scenery. I love this! 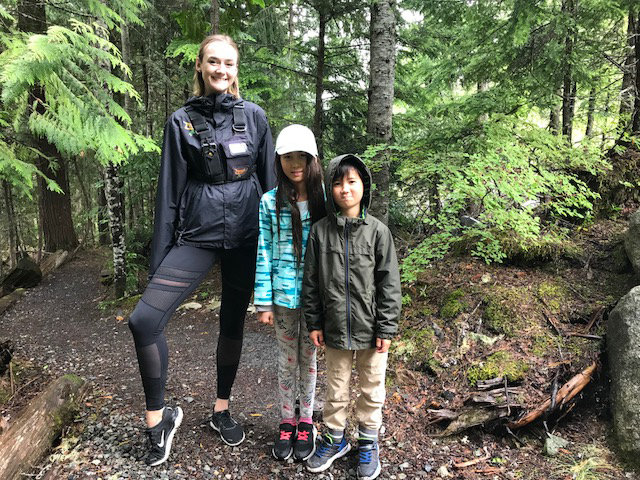 It’s a great way to get kids out in nature and appreciate the fun in hiking! My family loves to me outdoors this would be a fun little getaway for us! It looks beautiful. I’m terrified of heights though. This would be my idea of fun! I would love to do the treetrek. Hopefully I can make it out there someday. Amazing trek – would love to try this out – zip lines for me! This looks like something I would really like – I love the forest – heights, not so much … but at least it isn’t out in a bare space like some ! What great scenery. Looks like a hike my family would love to take. This looks like such a fun activity! Will have to remember this for our next trip to B.C. ! I would love to try this! Getting exercise and spending time in nature and learning all at the same time makes for a great outing. What I’m loving is how high the fences are on the bridge… I’m so scared of them! And I know I sound neurotic but there have been a lot of tragic accidents on other ones!!! Love canopy hikes/walks; they are an amazing way to experience nature and see the world from a different angle and such an important way to appreciate and learn. One doesn’t haven’t to go to a foreign country to enjoy this tree top hike!!! Whistler is one of the most beautiful places ever! The TreeTrek Canopy Walk look and sound like so much fun!